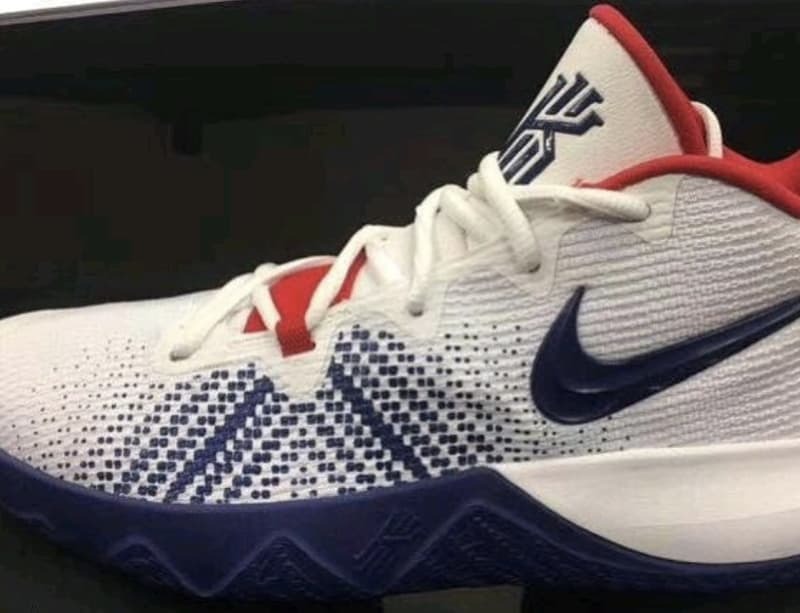 Here are some images that surfaced recently indicating that a budget Kyrie model is on its way soon. It looks like it is made up of a textile upper which is a good indication that the shoe has a modern build. The lateral image above also shows the absence of Flywire but near the throat of the lacing system, you will see a thicker dynamic lacing structure although in the forefoot only. 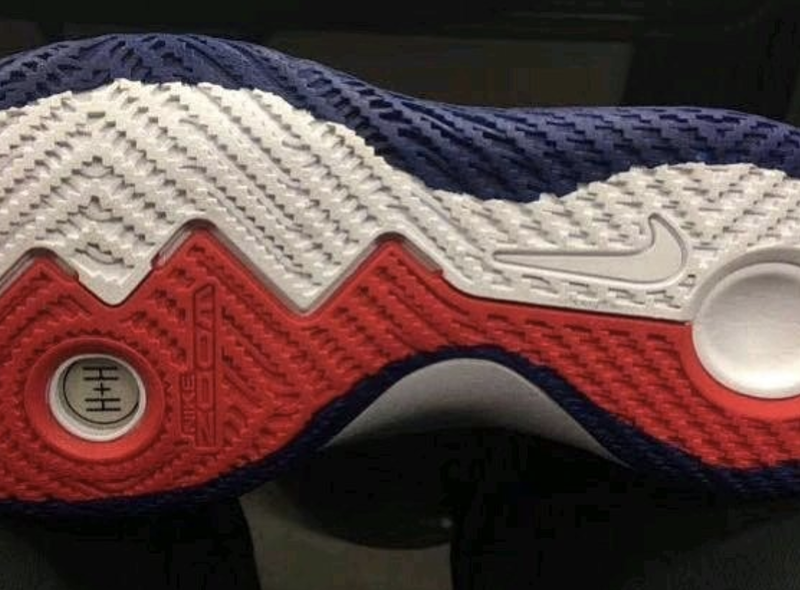 Also, it has the outsole somewhat extending up to the side walls of the shoe and a rounded shape just like the Kyrie 2 when it released some years ago. At least we know that the trend of this "cradling transition" effect continues. Underneath, you will see a small window in the forefoot where a Zoom Air bag is placed. Honestly, this makes me excited and a bit worried at the same time. Excited because you get to enjoy forefoot Zoom Air cushion again in the Kyrie line. If you rely mostly in your forefoot like me, we all know how Zoom Air helps promote responsive cushioning so a lot of you guys will surely like this as well. However, the shoe will be priced at $80 and if I just hope that the forefoot Zoom bag will not be the diamond-shaped unit. I mean come on man, it was disappointing when you used the rectangular shape Zoom Air in some of the lower models, please don't butcher this one because the shoe looks really promising by just looking at the upper and the traction pattern. What are your thoughts guys about this budget model in the Kyrie line?